HPIO provides the independent, unbiased, nonpartisan information needed to create sound health policy. HPIO’s vision is “advancing the health of all Ohioans through informed policy decisions.” HPIO believes that improved health value, defined by improved population health (including health behaviors, health equity, health status and mortality) and sustainable health costs, will lead to optimal health for all Ohioans. The long-term outcome of HPIO’s work is that state policymakers make informed health policy decisions that lead to improved health value. Get in touch with the Health Policy Institute of Ohio. This guide provides policymakers, funders and prevention planners with a common understanding of “evidence-based practice” and tools to identify effective strategies that prevent public health problems. See how the Health Policy Institute of Ohio, the Ohio Department of Health, and the Ohio Health Improvement Plan Task Force Chronic Disease Workgroup partnered to tackle the chronic disease section of their State Health Improvement Plan. 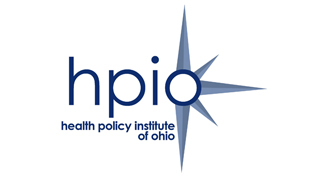 Health Policy Institute of Ohio (HPIO) Business Plan for the start up and initial 5 year period 2004-2008. Our Mission: Support national public health system initiatives and strengthen public health institutes to promote multi-sector activities resulting in measurable improvements of public health structures, systems, and outcomes. © 2019 National Network of Public Health Institutes. All Rights Reserved.